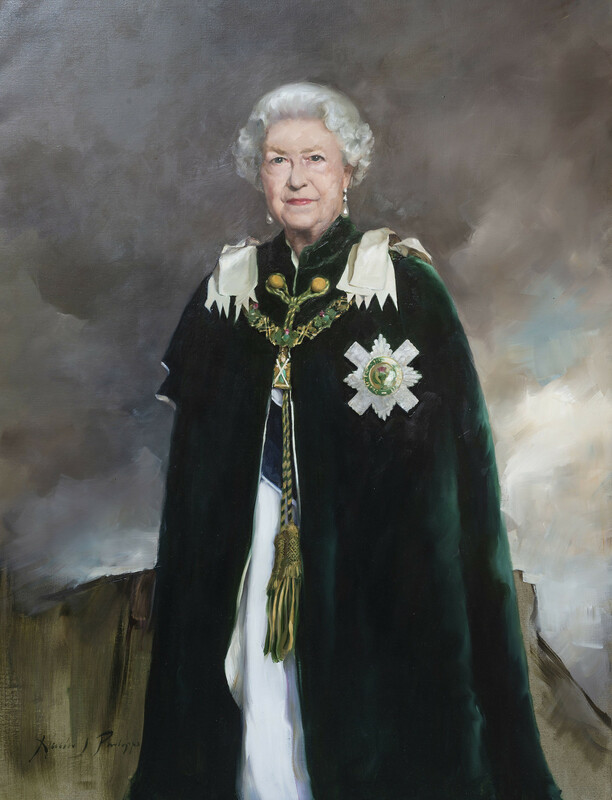 A three-quarter length full frontal portrait standing, dressed in the dark green mantle, badge and chain of the Order of the Thistle. Wearing a white flowing robe beneath the cloak, and pearl drop earrings. Against a grey / brown scumbled background of the Salisbury Crags beneath a dark sky.